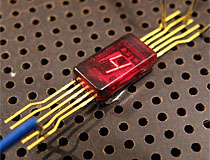 One of General Electric's most well-known displays, the SSL-140 is an early seven-segment LED in a tiny surface mount package. The SSL-140 is a single die device, in that all of the segments are constructed on the same lump of silicon. 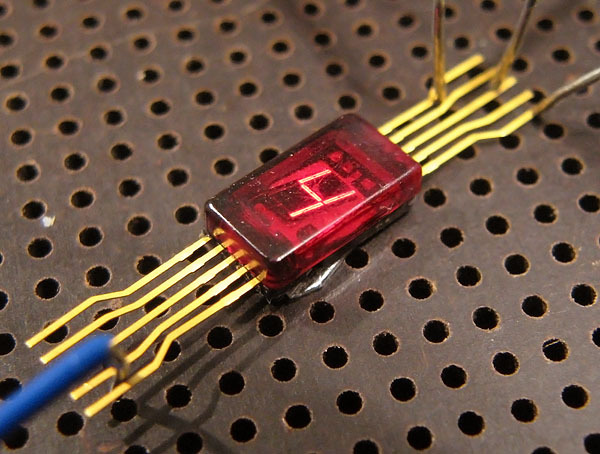 The display's decimal point is a separate small cubical die located in the right side of the display area. The SSL-140's dies are bonded to a ceramic wafer with gold leads, with an enclosing plastic cover to protect the fragile dies and bond wires. General Electric SSL-140 LED display, normal operation. 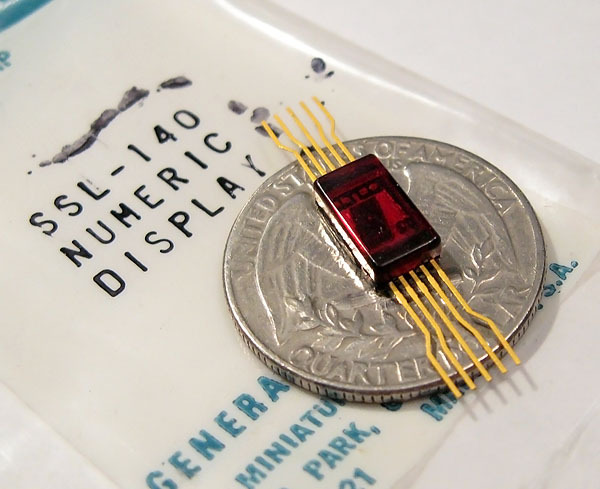 SSL-140 LED display, shown with packaging and quarter for scale.